Bob’s Lube & Oil was founded in 1984 by a very young Steve Griffin. Mr. Griffin was so young, many people found it hard to believe that he was the proud owner of Bob’s Lube & Oil! For over three decades, he has built a superior reputation for a family-owned and operated business in the Stockton area with over 50 years of combined experience! Our superior customer service and professionalism has afforded us the ability to hold and maintain our relationship with our customers over the years. We pride ourselves on being honest and professional. Your satisfaction is our number one priority! These characteristics allow us to work hand-in-hand with our customers, providing them with quality information regarding the work done on their vehicle. We are proud of the reputation and community support we have built. We also love to give back to our community! Bob’s Lube & Oil supports local organizations, such as St. Mary’s Dining Hall, The Women’s Shelter, and many others. We are also proudly active in the Port Commission for Stockton and have been for the last seven years. Being part of the Port Commission for Stockton has allowed us to support the creation of jobs, making this organization the biggest employment generator for the city of Stockton! 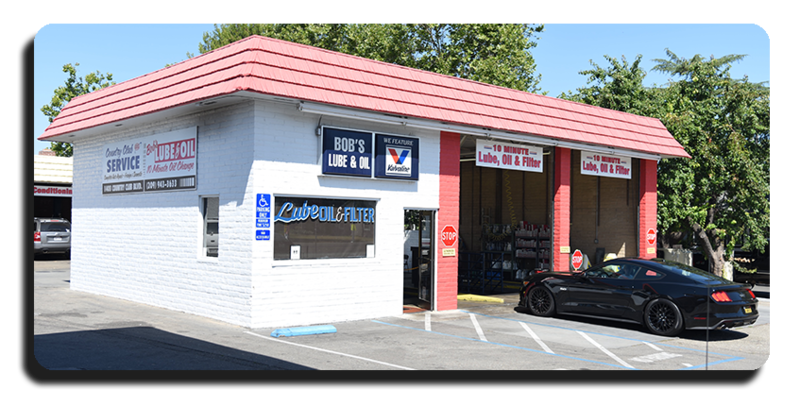 Come in and experience the difference that Bob’s Lube & Oil has to offer! With our high quality workmanship, it’s hard not to drive away happy after we take care of you and your vehicle!